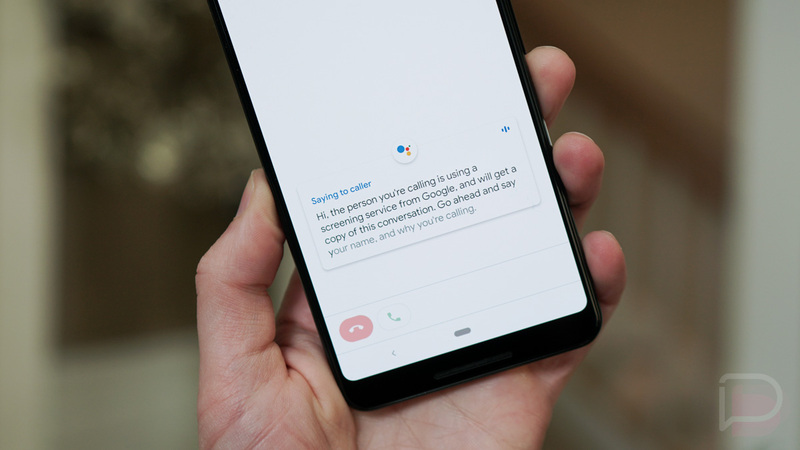 The Call Screen feature that Google introduced alongside the Pixel 3 is one of the best pieces of technology they’ve introduced in a while. It gives you the power to troll-back to the numerous robo and spam calls that hit you each day, but it is also a handy way of getting info from unknown callers you would have otherwise ignored. Starting this week, select Motorola phones are getting Call Screen too. Motorola quietly announced the news in a blog post where they said to expect Call Screen on the Moto G7 and Motorola One families of phones. At this time, they haven’t announced Call Screen for any other devices, which means nothing yet on the Moto Z line. Not familiar with Call Screen? It works like this. When a call hits your phone you’ll see an option to “Screen call.” If you tap that, Google Assistant takes over, tells the person that they have intercepted the call for you, and asks what the person wants. That person can explain to Google who they are and why they are calling, which gives you the option to mark it as spam, jump into the call to talk to the person, ask for more info, and so on. You can save the transcripts of these call screens too. To get Call Screen, I’m going to assume you’ll need an update to your phone app, so be on the lookout for that. If you are up-to-date, you should start seeing the option as calls come in.